All of the pens were picked up over this Summer for less than $10.00 each and came with numerous structural problems. The Pencraft is completely discolored (the red pattern is barely visible), has a cracked cap, is missing the clip, and half of the lever is missing. 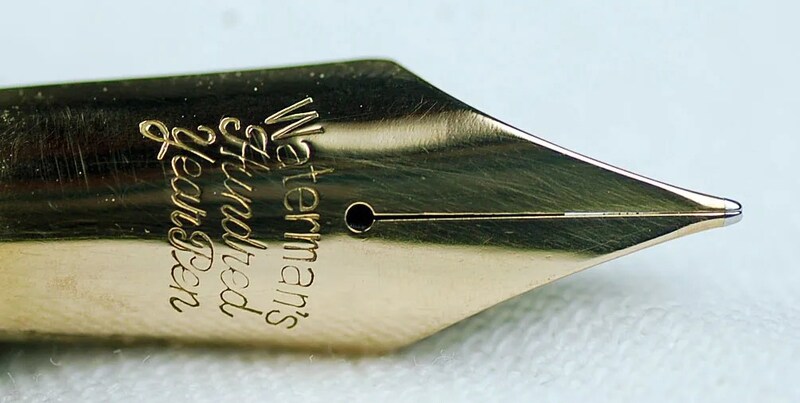 The Waterman has the familiar crazing of both ends – which is all to common in these later generation 100 Year Pens, is missing the clip, and has a crack in the cap. The no name flat top has a missing clip, and is severely discolored (common with this plastic pattern). All three, of course, need new sacs and pressure bar overhauls. Sometimes it is important to know when a pen is not saveable. 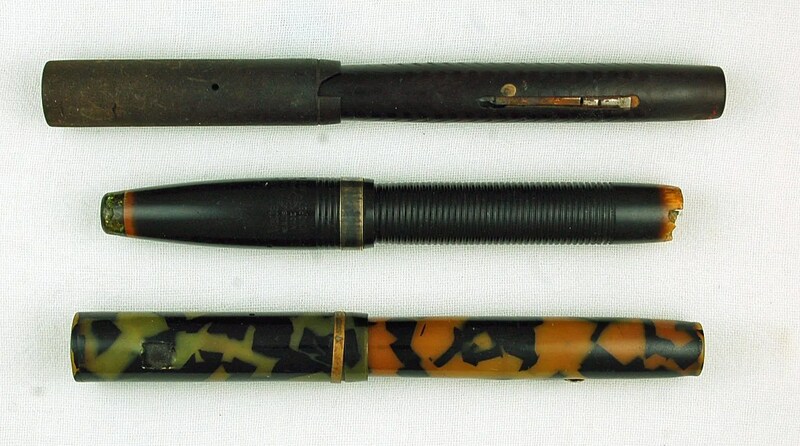 These are three such pens. However, each has parts which are salvageable, and can be used in the future. I the case of all of these, the nib/section/feed are valuable. The rest of each pen will be saved in a parts bin in case a lever box is needed (in the case of the 100 Year). Below are the three after I removed the section from each. The caps and barrels were placed in what I call my reject pond, which is a large bin that contains parts that have a low probability of ever being used again. I have dipped in it for a clip or lever on rare occasions, but it is mostly parts that are of no use to future projects. That leaves me with three nice section/feed/nibs units. I knocked out each nib and feed and cleaned all three remaining nibs, feeds, and sections. After cleaning, I reassembled the units, leaving me with three nice nibs – for now attached back to their original feeds and sections. 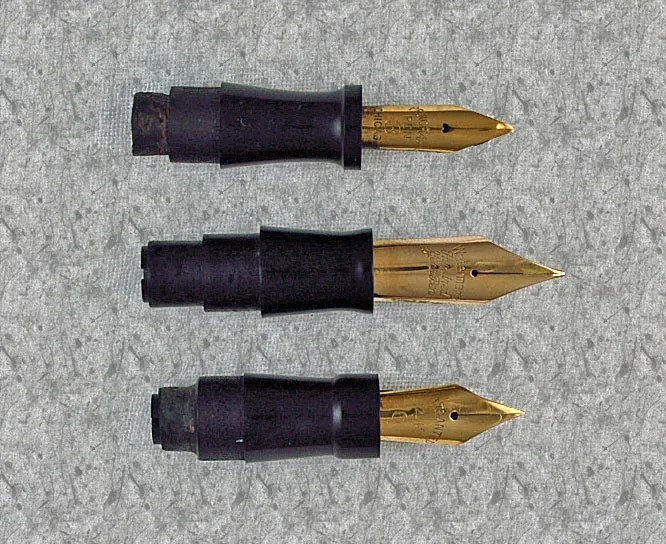 It remains to be seen whether they will be used together, or if I will just need a nib for an existing feed and section. Below are the cleaned and polished units, waiting for a mate. 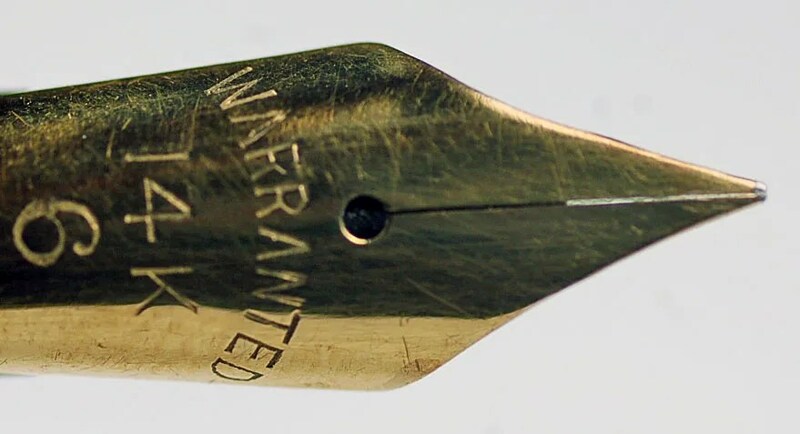 Additionally, for those interested in estimated values of nibs, a site that I frequent is at nibs.com. So, next time you see a glass, box or tray of beat up old pens, don’t forget to see if there is any value to the parts!